SALT LAKE CITY, Utah - Jason Roberts, lead guitarist for Norah Jones, will be relying on the new DigiTech Whammy for Jones' upcoming tour in support of her new album, Little Broken Hearts. Roberts describes the album as "beautiful and 'heartbreaking" with some surprisingly different sounds and textures on it, which make the Whammy a great tool for recreating some of the unusual elements of the album when playing live. The new Whammy features several upgrades including a Chords mode for pitch-shifting entire chords, true bypass operation and other enhancements, while retaining all of its signature multi-octave pitch-bending and harmony effects - from subtle to extreme. 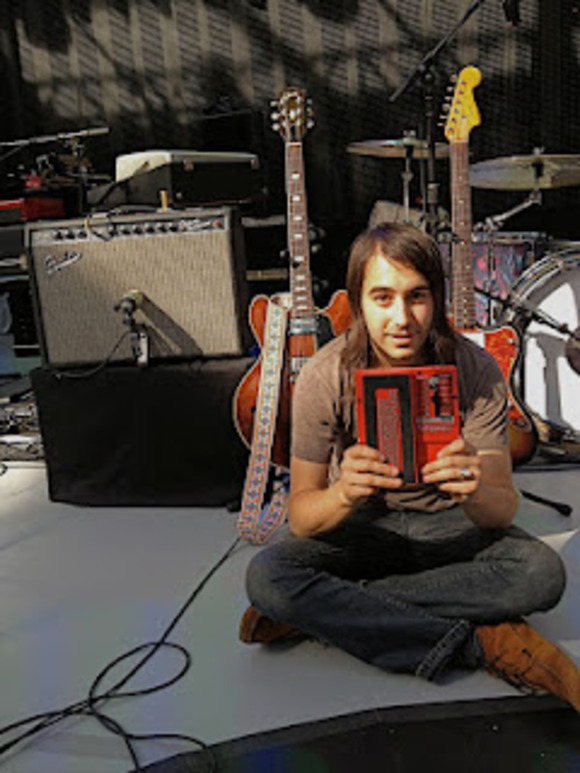 Roberts immediately knew the Whammy pedal would be of use to him when he was hired for the current tour. "Norah was really, really specific in her desire to find a guitarist and keyboard player for this tour who knew how to work with pedals and get some interesting sounds, so she definitely welcomes new toys like the new Whammy whenever we get them," stated Roberts. "I love the Classic/Chord switch on the new Whammy that lets you go between bending individual notes and entire chords," Roberts continued. "That definitely lets me play cleaner when I'm holding out multiple notes. There are also a couple of songs on Little Broken Hearts, for example the second verse of 'Take It Back,' where there are some higher-octave guitars doing some spacey chord arpeggios. The Whammy with the Chord switch on will really make these parts stick out in a live setting. I'm also going to experiment with starting a phrase on a lower note and using the Whammy to bend the note up to pitch - I think that'll give my phrases a lot of added emotional expression." Roberts has a long history with the Whammy and appreciates the improvements that the latest version offers. "The old Whammy was great, but the new one is much more sturdy and the pedal travel and ability to fine-tune the settings is more precise," he said. "I used to notice the old pedal would slip and I would end up having to keep my foot on it all the time. That's not an issue with the new one." "I generally like pedals that have great sound, looks and durability," Roberts concluded. "You don't want a pedal to break when you're in the middle of a big show. For me, a pedal has to have the right vibe, so I'm glad the new Whammy looks so classic! I don't want to look down and feel like I have a space station under my feet - I want to see retro-looking pedals. I also love the fact that I can step on it pretty hard and know the pedal is going to be reliable."